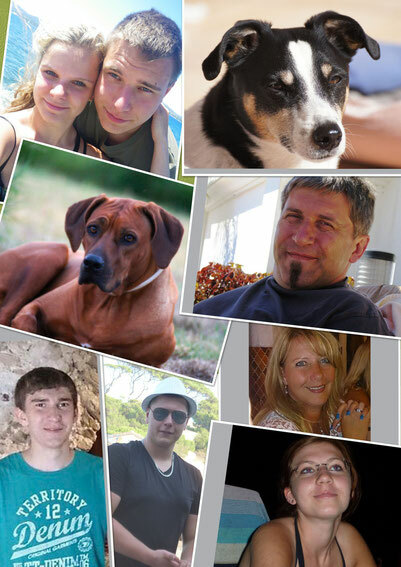 We live since 2009 with our first dog Jack Russell Terrier "Jackson" in southern France at the Cote d'Azur. 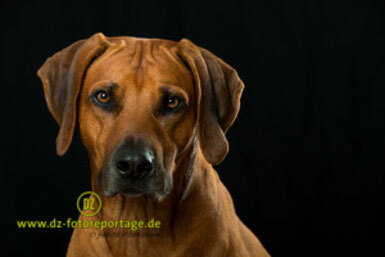 In 2010, we got our long desired Rhodesian Ridgeback Shangani Eshe Amali. Our first contact with a Rhodesian Ridgeback was in 2006. Our neighbors and good friend's brought a Ridgeback puppy to his home in Germany. In 2008 we were almost ready to take one. In the neighbor's garden swirled 10 magnificent small Ridgeback Puppies. If we had not to move to a foreign country, we would have taken one for us. 2009 was the big move to southern France. We left everything in Germany behind and pitched our tents in Le Luc en Provence. It took about half a year until we had settled down in our new home and then were ready for a new "challenge". We have heard that in the Shangani Rhodesian Ridgeback Kennel, only 20 km from our home, a lot of little Ridgeback´s were born. We made an appointment with family Blumberg and were allowed to come and visit the 23 puppis from two litters. On 06.02.2010 we took our star Shangani Eshe Amali home. We are a typical patchwork family. Jürgen and I have together 4 kids. Our kids are now already grown up. We sometimes miss them very much, but the four come for a visit, regularly to France. Meanwhile we´re looking back to Germany, but now allways reluctantly. Life in the South of France characterizes us sustained and the "German" Stress is now a burden to us.